24 out when i woke up. I cant wait until we have 5" of ice in centrel new york. Hope to be on the ice by X-mas. What have you been catching? first skiff of snow this morning, -3 celsius. If it ain't broken, you ain't try'in! 57* at 730 on sunday afternoon. I cant hunt because its the last soccer game of the season.I cant fish because I wintrised the boat on friday.Its 730 on sunday night and i dont know what to do. 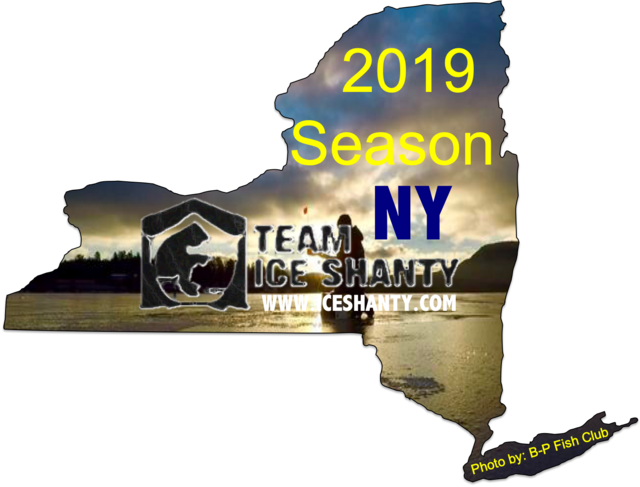 I Love Ice Shanty .Com. 530 am 28* and its snowing. 30* 5 inches of snow so far.7 pm. 24* 930pm should be in the mid teens by the am. Still have about 5" of snow. Had lots of ice in the duck tubs this morning. Standing water in the cornfields was all iced over too! Too bad Hemlock Lake does'nt freeze that fast. 23 at my house this morning. Just a skim to an inch along the very edges where the snow piled up in the water some. Nice to know the waters chilled enough to be frozen given the next solid cold snap. Hopefully by the end of the month (fingers crossed).